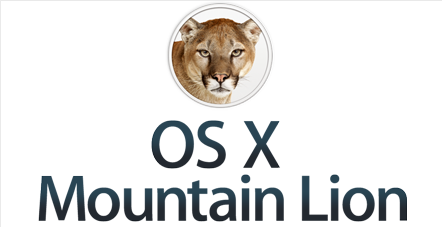 Apple has released the first update for OS X Mountain Lion today. The new update takes Mountain Lion users from OS X 10.8 to 10.8.1. With that update, which requires an update I’ll point out, fixes a few issues such as iMessage, Thunderbolt issues as well as battery life issues on MacBooks. To get the update you can either wait for Apple to prompt you (normally takes a few days), or just click on the Apple in the menu up top and click on Check for Updates. When there, you’ll see a download available which is just shy of 25MB and will quickly install. I pointed out above the reboot just so you can be prepared if you are in the middle of work and don’t want to reboot just now. – Improve 802.1X authentication with Active Directory credentials. As can be seen, nothing too exciting here although for those running MacBooks, reports of better battery life have been given although Apple [AAPL] doesn’t specifically state this on the change log above.